Welcome to St. Gabriel’s Church. This week we sent out a direct mailer to every household in Douglassville and several surrounding mail routes. We have opened our doors to give folks a chance to discover a little about the church. So then whether this is your first visit to a worship service here or whether you’ve been coming here all your life, welcome! You will notice that we are a church of ritual. We sing Hymns. We have a Book of Common Prayer and we follow a set formula for worship. The shape of our liturgy has its origins in the early church’s custom of remembering the night before Jesus died. This death was for the forgiveness of our sins and as a gift that leads to eternal life. He took bread and wine, thanked God as any family would at Grace, and especially as a Jewish family would at Passover in the Liturgy of the Haggadah, literally “telling the story of our deliverance from slavery”. At one time or another we have all been slaves. At one time or another many have held slaves. Either way, God seeks to deliver us from slavery. We read a set of scriptures every week from the Old Testament, the Psalms, the Epistles, and the Gospel to put us back in touch with with God’s Story. These readings are intended to be explained by the preacher. So then, you are subjected to a sermon. In it, the priest/preacher is charged with the responsibility of building a bridge between what happened in ancient times to what is happening today in our shared life stories. Various clergy do that with varying skill. Today for instance, we have a Gospel reading in which the Disciples are making their way through Galilee in that dry and rocky land underneath the heat of an oppressive noonday sun in that inhospitable place. And Jesus tells them yet again, for a second time that he, the Son of Man, will be betrayed into human hands, he will be killed, and then on the third day, he will rise again. He said this plainly. There were hurt feelings, of course. But on they went. He healed people of physical and mental disorders. He did do some very extraordinary things. Miracles seemed commonplace with him. He had a way of teaching they found compelling, and most of all he had a way of loving people, ALL people, even sinners, even the unwashed, outcast and rejects of the day. Rich or poor, he loved them. So then they had time to kill and a fight broke out among them as to who was the greatest. 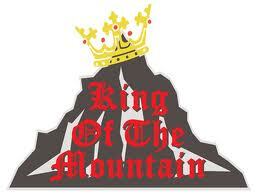 I remember playing “King of the Mountain” when I was a boy. I was actually pretty good at the game. I had a low center of gravity even then, so I was able to hold my ground. So the Disciples of Jesus were playing “King of the Mountain” too. Having been upbraided by Jesus, they probably shrugged their shoulders and began to wonder, half joking, who was going to be the greatest among them when this “Jesus Kingdom” finally came. So Jesus asked them; “So what were you arguing about”? Of course he knew, he could read their body language, and he may have had good hearing too. And besides all that, he was Jesus, so he knew anyway. I do hope you know that the secrets of your hearts are indeed open to God. And he loves you very much, even with all those secrets being disclosed to the heart of God. Well they were embarrassed about admitting that they were playing “King of the Mountain”; just a silly child’s game. So he sat down: the posture of the teacher in the ancient near eastern world. Whoever wants to be first, he said must be last and moreover must be the servant of all. Jesus would later reinforce this idea by washing their feet on the night before he died for them. Then he took a child. 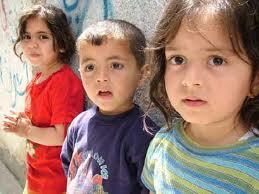 There are always children wandering about in the Middle East even today. They are desperately poor then as now. They were trying to peddle thing then as they do now. Post cards, water, cheap trinkets. They are often dirty from the constant kicking of dust. Water is way too expensive for the poor to use in such an extravagance as frequent washings. So he took one of these children and set him or her in their midst. And then taking the child into his arms, he told them whoever welcomes such a child welcomes Jesus and moreover whoever welcomes Jesus welcomes the One who sent Jesus. Suddenly, Jesus had taken an ancient child’s game and turned it upside down. This is not about becoming “King of the Mountain”. This life is about becoming a servant to humankind. Now for those of you who are new to St Gabriel’s, I suspect that even you know that we have organized our life around the needs of Senior Citizens. We have played a pivotal role in the establishment of the Keystone Villa. And then we incurred significant debt by building the Parish Life Center. We house the Good Shepherd Learning Center, and we provide for the needs of younger families in the community and tend to their children in a safe, clean, and educational environment. The Boy Scouts meet here. There are seven recovery groups that meet in the building. We feed the poor at the Community Center in Birdsboro, and we make lots of soup for the food pantry housed up at St. Paul’s. Now you know as well as I do that we cannot rest on our laurels. That’s why we’ve invited you to gather with us here at the church today, at St. Gabriel’s church. There are so many human needs for the followers of Jesus to tend to. That’s why we are here. We are here as Jesus said, to be child-like servants one of another. When St. Gabriel came to Mary yea all those many years ago, he told her; “Mary, I have news for you. You are going to have a baby. And not just any baby.” She was hardly a girl herself and her betrothed Joseph was going to have a hard time with this story. But Gabriel had a message for her as well as for the rest of us. God cares about the people. All God’s people. And God was sending Jesus into the world to show how much God cares; how much God loves all these people. So, then week after week after week, we re-enact in our liturgical worship that supper Jesus had with his friends. We break bread together. We remember Jesus not just as we would a historic figure. We invoke Jesus into the present as Jesus told us to do. This is how we remember him. This is my Body. This is my Blood. Jesus becomes present to us in this Liturgical offering. So welcome to St. Gabriel’s Church. Whether this is your first Sunday with us or whether you are a cradle Episcopalian, this is your church anytime you need one. You are welcome at this table, all of you always. When Jesus fed the multitudes on the hillsides of Galilee, he didn’t check anybody’s membership cards, he didn’t check on bank accounts, race, ethnicity, age, theological orthodoxy, gender or even orientation. To Jesus if we were human beings we were children of God. And as the Son of Man he welcomed us to God. And so on this day I welcome you to God as well. Draw near to God, as today’s Epistle lesson says, and God will draw near to you. May you be filled with all the fullness of God this day. Arrest that Bishop Again and Again! 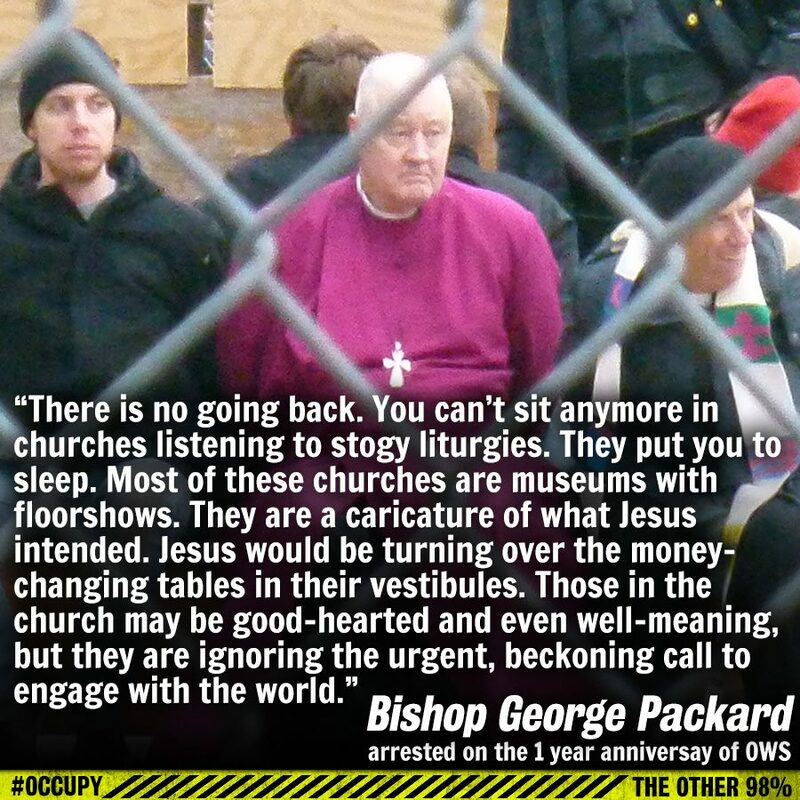 Every once in a while there is a Bishop worth the Name! People who pay no taxes? Show me your tax returns! Ask GE why they pay NO TAXES! You're telling me I pay no taxes? I pay more than you do! You want Obama to show us his birth certificate. He has! You, show us your tax returns! I am a semi-retired Senior Citizen. But I have to work to make ends meet. I pay over 26% of my income in taxes. You pay 14%. AND you won't show us your tax returns. I do receive Social Security. I earned it. I do have Medicare. I earned that too. You want to take away what I earned. I will fight you on that. Live off the government? Ask Big Oil about their depletion allowances. Oh and your friends at GE again and the money our tax dollars give them? You say we pay no taxes. 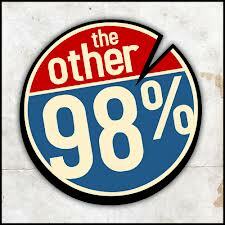 What about the 1-2% of the Super Rich, Multi National Corporation? Why should they live off our tax dollars. Don't pick on Welfare moms. 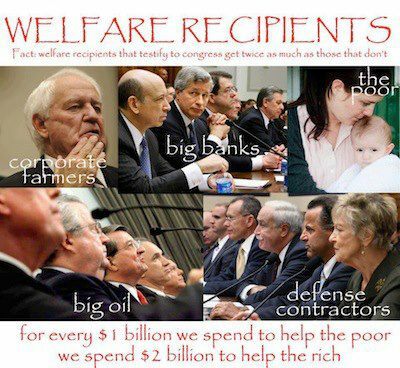 Tell your pals on Corporate Welfare to get off the dole! This is the thanks we get for bailing you out in 2008 with our tax dollars? We gave you that money and you kept it. That was a transfer of wealth from the middle class to the rich, no matter how you cut it. And now you insult us in Boca Raton in a few "off the collar" remarks! And you make no apology! It is getting clearer what you meant in your book. You make no apology to the 98% of American Citizens who work hard, pay their taxes and love this country. Thanks for making it clear why we'll be voting for Barack Obama. He cares about the poor and is the only president who was able to engineer a health care plan like you engineered in Massachusetts. 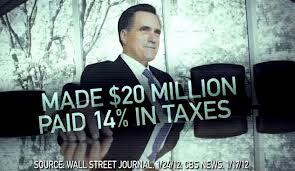 And all he wants from you is for you to pay your fair share of taxes. 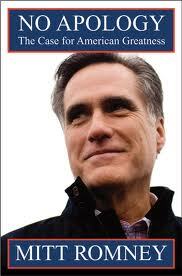 You want to repeal Romneycare/Obamacare. You, the Tea Party and the Republican Party will fight fair taxation every step of the way. You will continue to insist on a subsidy from the middle class, seniors, and the poor. Watch out, because the numbers of people who will not vote for you may increase dramatically from 47%! I will NOT vote for you! 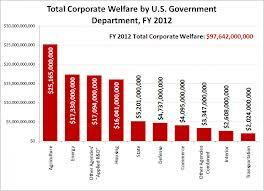 So Who is on Welfare? To say that we are becoming an oligarchy of the rich is merely to state the obvious. They are close to taking control of the political process now that Citizens United have taken the Supreme Court as well. Very dangerous if you ask me. In the meantime, according to a well articulated and well researched article by NPR the middle class is in free fall. This is even more dangerous. Some think that the dole to welfare mothers is worth getting worked up over. When we needed a bail out because of job losses, did we get one? When we lost our homes to predatory lenders, did we get one? When our children took out loans for their education, did they get a reprieve from grinding debt? Ah but when the super huge financial institutions needed a bail out, we transferred our tax dollars in an instant because they were too big to fail. And to thank us they turned a cold shoulder to our police, fire, EMTs, and teachers. And when we wanted any form of health care they told us to drop dead. These folks are a trying to engineer a transfer of more money from the rest of us. The addiction to Greed knows no boundary. As "Occupy Wall Street" marks another good year of solid witness, lets give this matter some more thought! There is a prayer I say from time to time when I feel a need for a spiritual "jolt". Today when the bishop visited, I could not help but remember my own Confirmation, Ordination and then of course when I was "Installed" as Rector of my several congregations though out these forty plus years. At the "Celebration of a New Ministry" this prayer is recited by the new priest. I have always loved this prayer and share it with you now. Clearly we are all "ordained" to care alike for all those entrusted to our care. sake of your Son our Savior Jesus Christ. Amen. It is just one thing right after another at St. Gabriel’s. Just when we thought things were getting busy enough, they go right on getting busier. 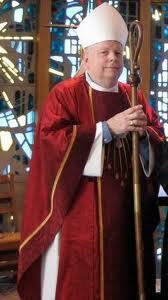 The Bishop comes here today and next week we are inviting 6,000 households to St. Gabriel’s! I know that the very mention of the Bishop’s visit can make many anxious. But add to that an invitation to 6000 local households! That’s enough to take your breath away with anxiety if you are responsible for running the Sunday School or the Youth Program, or the whole church, for instance. So let me first remind you and me to breathe deeply. In and then out; breathe! Breathe in and then out; in and then out and continue doing so. "All shall be well and all manner of thing shall be well." This is how the Holy Spirit comes to us. She comes to us in our Breathing. In Eastern Christianity, the word "Sophia" means “Wisdom”. Wisdom becomes the feminine dimension of God, in a very important sense. 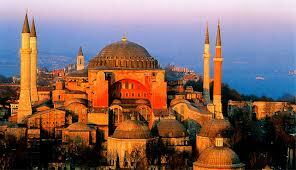 The Center of the Eastern Church for over a thousand years was the Church of the Hagia Sophia or “Holy Wisdom”. Those who seek to live in Wisdom must practice their breathing. To inspire is to take a breath. To be inspired it is necessary to practice breathing. It is at the root of prayer and meditation to breathe well and to breathe deeply. Thus we learn of God’s Wisdom, and God’s inspiration. The word “spirit” and “inspire” share the same root in English, Greek and Latin; all the great languages of the Western Church. So then the Bishop comes to us this morning. The visit of a Bishop is a signature moment for Episcopalians since it is in the very name of our church that we describe ourselves as a church with Bishops. There’s that Greek language again; “Episcopos” being the root word. It means “overseer” or “superintendent”, one who has responsibility for a grouping of congregations in a unit we call a “Diocese”. In fact the basic building block for the church is not the congregation if we look back historically at our own church or even as we look back at the majority of the Christian Experience. The building block for the church is the Diocese. 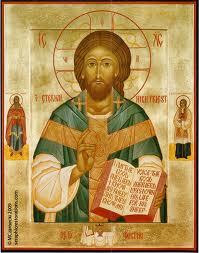 The Bishop is the Defender of the Faith. Our Apostolicity is resented to us in the Bishop in the sense that the Whole of the Church is represented to us in the office. Thus, for instance, when we come to the Bishop for Baptism, Confirmation, Reception or Reaffirmation, we proclaim our faith to the whole Church. The Bishop becomes much more than a person and the Church becomes more than an organization. Understood correctly the Bishop represents our physical and spiritual connection to Jesus. I used to tell that to my children, since my priest told me the same thing. When the Bishop lays hands upon your heads, it is symbolically as though Jesus himself lays His hands upon you, because in an unbroken Apostolic Succession, that Physical and Apostolic presence comes down to us at the hands of the bishops of the church. And too the Church is more than just an organization. We become members of Christ as we gather with our Bishop and as we gather with one another. We are the blessed communion of all faithful believers. And I believe this Communion crosses denominational boundary and even crosses beyond life and the grave and unites us to all the faithful of God, living and dead. When I go to communion, I gather with all the beloved of God. And that brings me to next week too. Over the next day or two almost 6,000 invitations will be extended to every household in Douglassville. We are doing an EDDM an; an Every Door Direct Mailing. Much like the local Pizza Parlor or Chinese Restaurant, we too need to announce to the community we live in that we are in business. We are in the business of God. And yes, that makes us busy. If we are to be busy with the business of God when visitors come to our door, lets do so with a warm welcome. And lets remember that it is always our business to proclaim Christ’s Victory over sin and death. Our sins are forgiven. Life doesn’t end, it changes. It changes at our Baptism, it changes at our Confirmation, it changes as we gather with one another week after week. It changes as we are gathered to God one after another unto our ancestors. And Blessed Paul the Apostle also stayed on message when he said the following. There is no longer Jew or Greek, there is no longer slave or free, there is no longer male and female; for all of you are one in Christ Jesus. Hear, O Israel: The Lord is our God is One and you shall love the Lord your God with all your heart, and with all your soul, and with all your might. 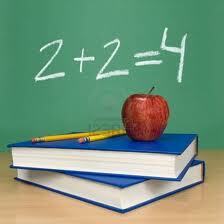 The two become one congruent law with the other. Love God and love your neighbor. You cannot love the One without loving the Other. God and neighbor are interchangeable as it were. Jesus then sent us out to do the work that God has given us to do. And a hard piece of work it is too, when we think of those who mean us harm, or even those within our families with whom we feud. But now, getting back to next week, I doubt very much that 6000 folks will come to our doors next Sunday. I have no idea how many will carelessly toss our invitation into the recycle bin. But I pray that some will be moved to feel that tug within the heart that says; "Maybe, just maybe these people down at St. Gabriel’s will welcome me into the Holy Place and allow me to meet God and explore what it means to love God and serve God’s people". So, keep breathing. Breathe in and breathe out. God will be with us in all things! Salvador Dali was an amazing artist. This view of the Christ of John of The Cross is among my favorites, because it comes from my heart and from heaven at the same time. I have argued before that it is within the human heart that we meet God. I would argue further that it is also between human hearts that we meet God. There we meet love, forgiveness and reconciliation. In that space between and among us we meet Justice and Peace. This is very hard work! As a child, I often cried myself to sleep at night wondering what happened to my father. He died at Christmas when I was a child. I tried to pray but there was only silence. Nothing happened! But I did not give up. I kept on praying. The Silence was absolute, and persistent. But I was a stubborn child and demanded more. Months and months went by. There were the night sounds. A distant church bell stuck the hour and the quarter hour. Street cars squealed mournful sounds. Sirens wailed to the heavens. But for me there was only a Silence. I hope you notice I capitalized the word "Silence". I begged and pleaded with it to answer me night after night. But the cruelty of the Silence merely let me cry into my pillow. Then one night my grandmother told me a story from the Bible. She was a marvel of a storyteller. She could have been on stage and screen. She commanded all the drama of a fine Shakespearean actress. She read the story of the call of Samuel that night. I still love the story. And the boy ran to Eli, the old priest; "Yes, you called me". "No", the old priest said, "I did not call you. Go back to bed"
"Samuel, Samuel" the Voice called again. And the boy ran to Eli, "Yes, you called me". "No" my son, I did not call you, go back to bed"
Then a third time the Voice called to Samuel; "Samuel, Samuel"
The boy insisted to Eli that he had called him. 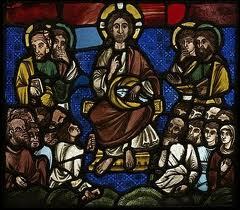 Then finally the old man "perceived" that God was calling the boy. My grandmother looked into my eyes deeply, and I perceived something. I asked her if God could call even children into servanthood. "Yes", my grandmother, of blessed memory said, and may Peace be upon her. When I went to bed that night, the Silence then became a Presence. The Presence became a "place" that existed above my bed, perhaps 4-6 feet away. (I was a child. That's how I "sensed" the Presence). I poured my heart out to it. I cried to it out of a paroxysm of grief. And it became God for me at some point. Still, I heard nothing at all. The Silence was exquisitely perfect. But now it was Presence to me. And it has become my Constant Companion all my days. Heaven for me is within my heart, and one day it did speak to me. Yes. It actually spoke to me. I had wondered about my dad. Religious people said my dad could not go to heaven because he did not go to church. I thought that religious people could be mean. My grandmother didn't go to Church either. But there was no question that she knew who God was and IS. So I heard this message. It was no voice. No sound. Just a sense beating within my heart. 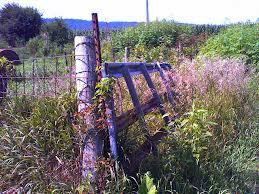 But it spoke as clearly as if my beloved wife were to speak to me as plain as day. "Don't you know that there is a special place in my heart for your dad?" I stopped dead in my tracks. I was on my way home from church at the time. I remember that it was a sunny, sunny day in September. I listened but there was only that Silence still. That Silence that had become so abundantly Present to me. This time I gave the Silence a voice. I spoke right out loud on behalf of the Silent Presence; "Don't you know that there is a special place in my heart for your dad?" "Ma, is there a God?" "Ma, is there a Heaven?" Also an easy question and answer. "Ma, is my daddy there?" That was a bit more problematic. My dad was Irish. My grandmother was English. And she didn't like the Irish (or my dad for that matter) one bit. There was a hesitation, albeit very brief. But she looked into my eyes and saw a plea from Heaven. She knelt down. She embraced me, and held me very close. I can still smell the aromatics of her hair as I write this. That was when I decided to become a priest. This is when I saw Jesus holding out his arms on the hard wood of the cross so that EVERYONE might come within the reach of his saving embrace. I later learned that this embrace included my mother with her three marriages, divorces and her abortion (the coat hanger kind), and my gay uncle. I learned this at an early age and have been working out all the particulars since. All this gives this day special significance for me. This is what my priesthood means to me. 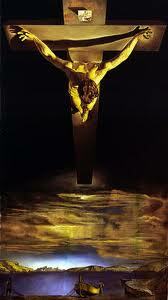 It is a matter of some urgency that we get the message out; that the Holy Cross is God's embrace for EVERYONE! We were not well prepared for what happened eleven years ago today. We were devastated and in a state of shock. Waves of terror one after another washed over us. We came together as a nation. We were one, albeit for too short a space of time. And the numbers of dead continued to multiply. 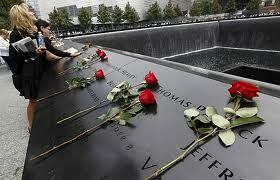 And in the hearts of all those broken by tragedy upon tragedy. Few, if any, are ready for sudden death. Especially when so many die at once. Especially when so many die so violently. Let the hatred die, dear Jesus. This is a great challenge. You who challenge us to love our enemies. This is hard for us to do. This is so hard for us to do. But you are All there is to turn to now. You alone are the Hope of the world. Because you alone are Love. May God bless all humanity tonight. We cannot afford to hate. Are we listening to God tonight? Are we listening to human hearts tonight? There is hope when we do. Unheard of! Impossible! In the Episcopal Church!!! This may be so. We have been losing members for so long, I don't know if we could even entertain the very idea. I've never heard of any Bishop, Priest or lay person even mention such a thing. The Evangelicals do it. The Right Wing Fundamentalists do it. Good heavens, even NPR and PBS do it. But the church? Our church? A membership drive? Unthinkable! Until now, at least at St. Gabriel's in Douglassville PA. We actually have a very healthy congregation with a fabulous Sunday School and Youth ministry program. But even we have enough stresses and strains in the human and financial resources available to us, that we could certainly use a shot in the proverbial arm. So, we are doing an EDDM; an Every Door Direct Mailer. We are inviting over 6,000 folks to church on September 23rd for Sunday School/Youth Ministry Registration. At fist, folks were a bit excited by the idea, but now as we come closer to the the time, our anxiety levels are rising significantly. But what if 50-75 come to see what we're up to? After all, we've been in the news. We now no longer keep folks at arm's length because of orientation, gender, class, race or ethnicity. We've come up with this curious notion that we are all one in Christ; Jew or Greek, slave or free, male or female, just as the Scripture says. Most of the world of faith rejects such a notion. And Science rejects most of the world of faith because it is a demonstrable fact that we are all one blood without regard to all the false categories so many people organize us into. So, I wonder what would happen if this emerging "Rainbow Church" were to actually "Invite" people to church? In some ways it is a frightening notion. 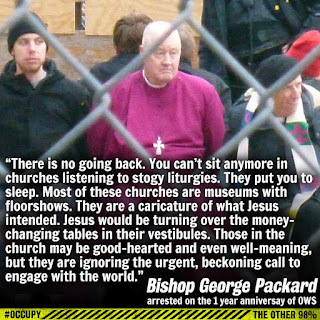 But for me the Episcopal Church is worth saving and worth breathing life into. We've pretty much run out of internal struggles to battle over. It is settled. We are now inclusive of all. Period. So won't you consider this? Just give us a try. 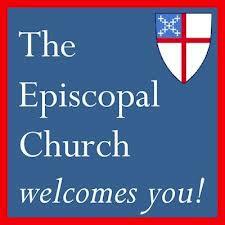 Go to the Episcopal Church nearest you and try it on for size...and all you Episcopalians out there. Here's a thought: For God sake's run a Membership Drive. If you need help, give me a call. I'll show you how. Show Me Your Tax Returns! Here is his birth certificate! 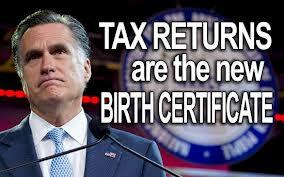 Where are your tax returns? I know you want to take away Obama's citizenship and right to vote as you do many of our fellow citizens. I know you want to turn the clock back on Civil Rights and Human Rights in THIS country. I know you paid no taxes for years and sheltered your money in offshore bank accounts. I know you pay less in taxes than I do and the 99%. I know you want MORE of our money for the 1%. I know you want to steal it from the 99% and give it to the 1%. We're going to fight like hell to stop you! So lets see if I've got this straight. Eliminate student loans and Pell grants. And the GIVE the money to the 1%. Keep Social Security away from the fast talkers on Wall Street. Keep Social Security for the Seniors who EARNED IT. Watch Wall Street like a Hawk! It will take Dodd/Frank and much, much more to keep these people from plummeting us into yet another debacle. Give the next bail out to the People. I know when I've been had. I know a snake oil salesman when I see one. As soon as they talk about touching my Social Security, my Medicare, my children's Student Loans, and de-regulating Wall Street, I go for my wallet and run like hell. I know what they did with OUR money when we gave it to THEM. 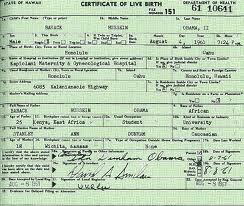 You want to see Obama's Birth Certificate. I want to see your tax returns. I know a Snake Oil Salesman when I see one. St Gabriel’s is blessed with seven AA groups. Every week scores of people share their stories and help one another work the “Twelve Steps” toward recovery. They learn many lessons together about the nature of human nature. It is easy enough to hear or to speak the Word of God. It is another matter entirely to Do the Word of God. As we used to say in the Old Neighborhood; "Talk is cheap". To talk the talk is one thing. To walk the walk is entirely something else. The sacrifice of living the life is one built on the notion of compassion and love. Living that way will cost you. 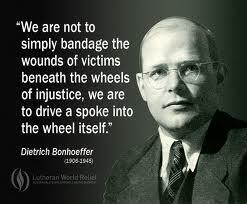 It is what Dietrich Bonhoeffer called "The Cost of Discipleship". This way of life, while it will cost you, is the way of God. It is the way that leads to eternal life. Such a life is built on our care and concern for the poor and the vulnerable. It is built on truth within and a fearless inventory within ourselves. A Biblically ordered life is a life that builds itself on an awareness of the kingdom of God within. These words from today’s Epistle speak volumes. They come at an especially helpful moment. There is lots of talk coming from Tampa this past week. There is more to come in a few days from Charlotte, North Carolina. Lets hold these words up to the Truth. Here are the words without comment. You must understand this, my beloved: let everyone be quick to listen, slow to speak, slow to anger; for your anger does not produce God's righteousness. Therefore rid yourselves of all sordidness and rank growth of wickedness, and welcome with meekness the implanted word that has the power to save your souls. But be doers of the word, and not merely hearers who deceive themselves. For if any are hearers of the word and not doers, they are like those who look at themselves in a mirror; for they look at themselves and, on going away, immediately forget what they were like. But those who look into the perfect law, the law of liberty, and persevere, being not hearers who forget but doers who act-they will be blessed in their doing. May I live the words. May we all live the words. May truth dwell within us. May we too dare to "care for the orphans and widows in their distress and keep ourselves unstained by the world". There are so many others to care for too! And to keep ourselves unstained in the process! How in the world can we do such a thing without the help of God. Jesus’s disciples were challenged because they did not observe the kosher codes of cleanliness. They were thought to be stained. Is it only reasonable that we wash our hands and clean the pots and pans? Even my grandmother would say that cleanliness is next to godliness. But the question was of a deeper kind of cleanliness. Then Jesus responded that the dialectic of righteousness and cleanliness had more to do with what comes out of a human being more than what goes into one. As Jesus said in today’s Gospel lesson: “For it is from within, from the human heart, that evil intentions come: fornication, theft, murder, adultery, avarice, wickedness, deceit, licentiousness, envy, slander, pride, folly. All these evil things come from within, and they defile a person." You may notice that all these evil intentions are bountiful in the world we live in. It is clear that we have much to learn as we seek to honor one another as Jesus encouraged us to do; indeed as the scripture requires us to do. who may abide upon your holy hill? who speaks the truth from his heart. he does not heap contempt upon his neighbor. These are some sobering words. Heaping contempt is a national pass time, it seems to me. And the money that goes around in any election is astounding! If we are seeking to lead a biblically ordered life as so many of our political representatives claim to do, then there are significant portions of scripture that many seem to ignore. Moses, the “Law Giver” speaks wisdom to the nations of the world with these words. They are no mere suggestions of humankind; they are the direct command of God. The fact that I read these words into the record today is not by any stretch likely to have much impact on how we conduct the remainder of this year’s election. Mutual contempt and diatribe are very much likely to continue and indeed likely to intensify as the hurricane season also often does. Much wind I’m afraid but little wisdom! 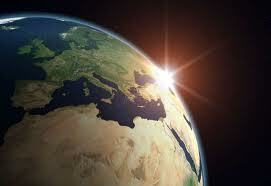 It is the way of the world. But we the people can conduct ourselves in a kinder, gentler way. God know’s I’m capable of being an outspoken advocate for my point of view. But isn’t it interesting how often God speaks into the midst of human life...right into the heart of things? When that happens, the preacher is bound to be faithful to God and proclaim the word as it is, not as s/he might prefer it to be. I thank God that we as Episcopalians are bound to live by the Whole Word of God. 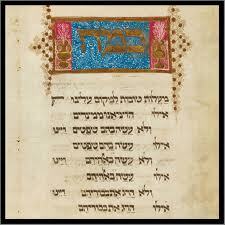 I thank God that we follow a lectionary, a three year cycle of assigned readings. The preacher is not free, in our tradition, to select a passage of Scripture s/he likes or tickles his/her fancy. S/he is bound to preach on those passages assigned to her or him on any particular day. We do pray for this nation. Yes this election is important. They all are. For it is in our discernment of God’s will that the Commonwealth of the nation rests. If nothing else may the Wisdom of God’s Word guide us to that sacred space that we have been given through years of sacrifice: the sacred space we know as the Voter’s Booth. This Labor day may Business learn to honor Labor. Without Labor there is no Business. And may Labor learn to honor Business. Without Business there can be no Labor. After all we are two wings of the same bird. Without the use of both wings no bird can fly. It is compelling me to remember that one of the symbols of this great nation is the Eagle. 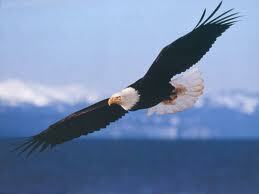 The Eagle must use both the Left Wing and the Right Wing to fly and then to soar. When shall we learn this Truth with itself is also self evident? In the meantime, We the People come to the Altar of God week by week. Our AA meetings continue unabated. We seek the Wisdom of God together. We build a strong nation from within. May God prosper our Prayer our words and above all our actions. God bless you today. God bless you always.